First impressions of the Benelli 828U O/U – it’s design for design’s sake. Surely Benelli would be better off sticking to what they do best, semi-auto shotguns? That may prove to be true, but I hope I am wrong, I have been wrong before! The gun seems to be aimed at the US market for hunting guns – lightweight guns used for walked-up shooting. For the UK, 30in barrels would be a given. No doubt they will come, but the 828 is only available with either 26 or 28in barrels. On the face of it, it looks an ugly duckling, but a great deal of innovation has gone into this gun. Benelli has never made an over-and-under before, to my knowledge it has never made anything other than semiautos, and it is pretty good at that. So the 828 is quite a departure, however Benelli is well placed to pull off a gamble of this sort. The 828 has the look of a semi-auto about it. The action frame is long, there are no screws, pegs or pins visible on the outside of the gun. Benelli has played a trump card using a shim system, allowing up to 40 different positions of the stock to give more flexibility. The alloy action enables a very low overall weight, which is combined with short barrels without side ribs. There is a backward design nod here, the gun is cocked by pushing the toplever across and not when the gun is opened. Some of the earliest doublebarrel guns worked in this way. But the modern take with the 828 is that the top-lever is long and curved for leverage, and set over to the right side of the action – making it easy to operate whether the shooter is left or right-handed. The disadvantage can be that the gun is difficult to open, as there is more pressure on the top-lever once both barrels have been fired. But this is hardly discernible due to the design, and it does mean that the effort to pull the gun open is the same every time, whether fired or not. The action frame is available in either silver or black. The latter is plainer, but still has the wood quality of the silver gun. The test gun is silver and has some scrollwork on the action frame. This is also used on the frame under and around the top-lever. The action frame has been broken up into curved panels to make it easy on the eye. A kind of fish-scale pattern is on the side at the back, which is the same form used for chequer on the stock. The barrels hinge on steel stub pins that are fixed into the knuckle of the action. Integral with these stub pins are bearing surfaces for the fore-end. The selector button is can be pushed left and right depending on which barrel is required first. The drop-out trigger mechanism houses coil spring driven hammers that work in a straight line on to the back of the firing pins housed in the steel breech face. The barrels are built up using the monoblock system. The tubes are 18.4mm diameter and have been forged to make the grain of the steel more uniform and stronger. On top of this, the bores are chrome lined for maximum corrosion resistance. The black is a lovely very deep gloss, which comes from polishing to a very high standard before blacking. The top rib is made from carbon fibre. The foresight is a red fibre optic for a definite sight picture. The ejector system is set using the exhaust from the fired cartridges. As far as I know this is something totally new, but it may be difficult to maintain, as the gas is corrosive and makes everything dirty and, unless kept very clean, may seize up. Benelli may have overlooked this as it uses an inertia system for its semi-autos. The stock and fore-end are good quality walnut, there is a gel rubber comb inset into the stock to give protection to the face under recoil. Although this gun is very light, it still has 3in chambers, so hefty cartridges that produce a fair bit of recoil may be used. In tandem with this is a soft recoil pad that has a damper recoil system hidden under it with the body of the stock Benelli call this system “progressive comfort”. The gun is very light at an average weight of 6.5lb. This is almost 20-bore territory, allowing quick handling and pointing – though it does have some bulk between the hands. The gun comes in an ABS case with its spare choke tubes and key. One of the best things is the case lining – a very smart tartan check. It makes a good contrast between something so traditional and one of the most contemporary gun design to come on the market in recent years. 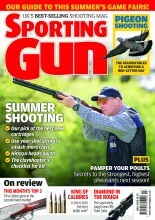 See how the Benelli compares in Shooting Gazette and Shooting Times.